Yoga is return to the source. We have been taught that we are different from the source and Yoga is an attempt to correct this wrong. In the process of this correction we find answer to questions like ‘Who am I.’ What is the meaning of life? New questions arise and we become seekers. Till now we have been seeking answers outside. But once we started knowing yoga, we realize that the answer is not outside but inside. What is all this here? Is there a life after death? Am I being constructive by being part of the rat race? What is the source of all that I can see and I cannot? When you sit in a yoga pose you are slowly move towards finding answer to these and many other questions. Yoga should not be seen as a mere exercise or as a miracle cure for various diseases. Yoga can cure diseases but that can only happen, when you are able to realize that the life force in you is present in all animate an inanimate. This above said mantra is the base of Yoga. When Sage Patanjali composed Yoga Sutras there was no Hinduism. There was no concept of religion. There was only quest for the truth. Yoga is for the welfare of all living beings. It is not to be narrowed down. It should not be compartmentalized as of a particular religion. If you think in such a way then you need to go back to the basics. Yoga is for all. Yoga is about gaining mastery over the mind. The ‘I’ should be knocked out with the help of Yoga. For this we need to achieve self-realization. Yoga helps us in achieving self realization. Yoga does not provide instant solutions. You will be disappointed if you are doing Yoga on the Yoga mat with hope to cut down on weight, to look more handsome or beautiful, or to find immediate cure to a troubling disease. You might have paid a huge amount of fees to learn Yoga in the hope of achieving a particular result. Sorry but you paid the fees in a yoga shop - and shops run on profit. You are just a customer for them. This body is an extension of the Supreme Truth (God). Dust of ignorance is the covering the light hidden in us. This light is present in all animate and inanimate. We have painted, mismanaged and tortured the body, thinking that it is something different. Something unique. Yoga is correcting all this wrong. 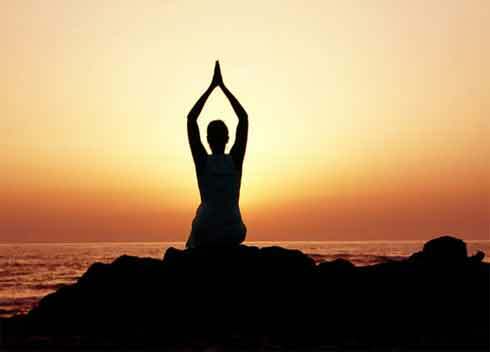 Through the various asanas, Yoga takes us back to our original figure - to our original source. We then realize that the body is our temporary abode and all we need to do is keep it in its natural form. The body knows how to take care of itself. After a particular period of time, the body prepares itself for transformation (which we wrongly refer as death). This ancient teaching also helps us in leaving the world in grace. Yoga is not costly. You need not pay a hefty price to learn Yoga. You need not travel to find it. Yoga is inside you. Taking a long walk and contemplating is also Yoga. Doing asanas in the morning and evening is also Yoga. But doing Yoga with having a particular end result in mind will cause disappointment. Self-enquiry, discipline, self-control (mastery over anger, ego and desire), self-realization, mastery over the senses and sweating out on yoga mat will surely give you result. And believe me there is no comparison to what you will achieve. It cannot be described in words. You need to feel it to know it. Yoga is the union of all. See all in one. Realizing that there is no second. Along with Yoga you should also read the Bhagavad Gita, Katha Upanishad, Yoga Vasishta and teachings of Ashtavakra. Above all please do not become a pawn in the hands of a Guru, or God men, in the name of Yoga.